MARRIAGE LICENSE: Monday- Friday 8:00 a.m. to 4:00 p.m.
All state holidays are observed. Gentry County was formally organized as a governmental unit on March 1, 1845. In February 1861 Worth County split off. The courthouse was destroyed in a windstorm on July 13, 1883. 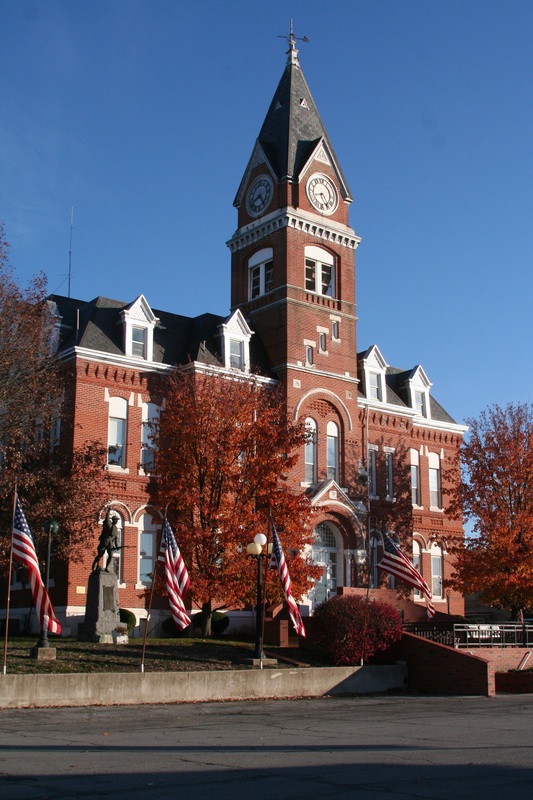 The county records were salvaged, and offices were set up in building on the north side of the square. A fire destroyed the building and all courthouse records were lost in the blaze. The recorder’s records, land and marriage begin March 1885. Tax Liens: Recorder’s Office does not do searches. If anyone needs a deed prior to 2005, they need to contact the Gentry County Assessor’s office at 660-726-5289 to possibly get a Book number and a Page number. This will take less time for everyone.